Looped animation for the first press conference. 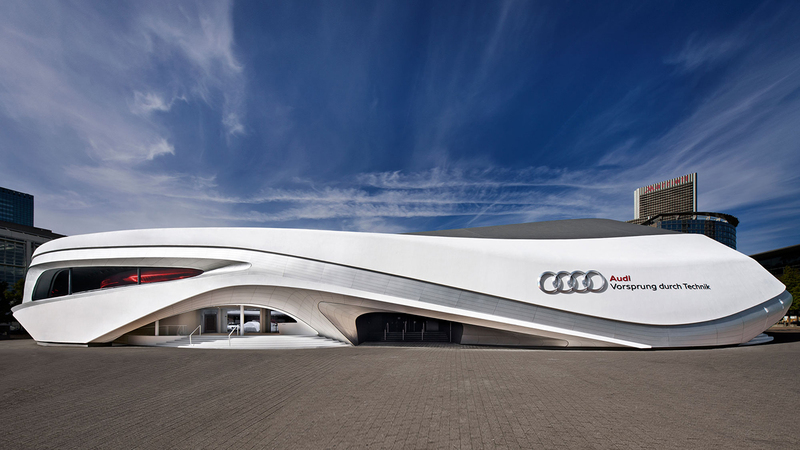 The grand opening of the new fair building of Audi. The goal is to create atmosphere while accommodate the journalists in the auditorium. Media: 360 degree, ring with main central area, led panels based screen. 10 257 x 1080 px., 50 fps. 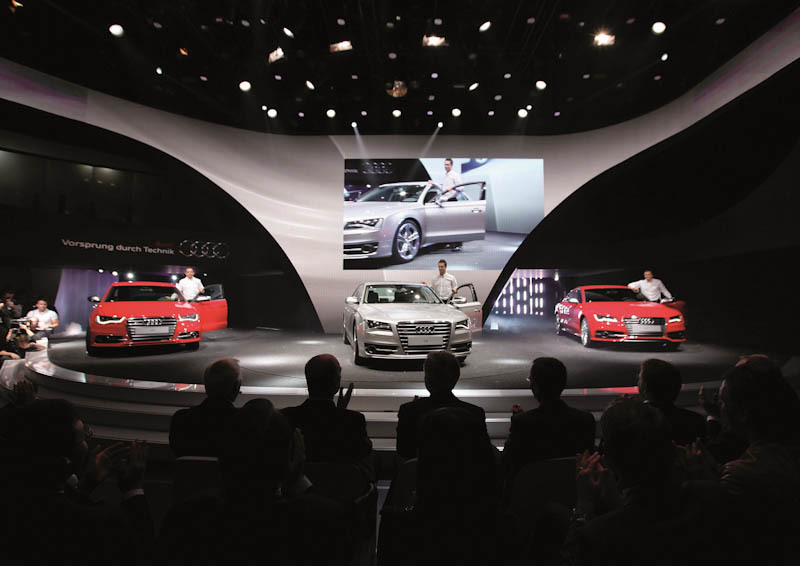 Animation for presentation of the new S – series.